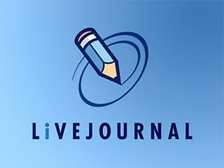 An internet service provider in the Russian city of Ulyanovsk has blocked access to the online blogging service LiveJournal by order of the Federal Security Service, Gazeta.ru reports. Upon further inquiry to Telekom.ru, Gazeta.ru discovered that the company had blocked access not only to Navalny’s blog, but to LiveJournal entirely. “The company has limited access to LiveJournal by order of the FSB,” a technology support specialist from the company told Gazeta.ru. However, he could not explain on the basis of what sanction the FSB asked the company to block access to the website. This is not the first time Russian authorities have blocked access to social media websites. In July 2010, an ISP in Komsomolsk-on-Amur received a court order to block access to YouTube; in the same month, a court in Ingushetia ordered providers to block access to all of LiveJournal. Prominent blogger Aleksei Navalny has been involved in an ongoing row with government authorities in connection with his status as Russia’s chief whistleblower. Most notably, Navalny used his shareholder earnings in the state-owned oil pipeline company Transneft to reveal an alleged $4 billion of embezzlement. Last week, federal investigators filed criminal charges against the blogger for having allegedly defrauded a state-owned timber company. On Wednesday, investigators announced that an “unspecified culture studies institute” had determined that his website’s logo was a desecration of Russia’s coat of arms. According to the Moscow Times, Telekom.ru is now blaming technical difficulties for the lack of access to LiveJournal, despite previously admitting that the FSB issued an order to block it. The FSB denies issuing a complaint about Navalny’s blog, but it is unclear whether or not they deny complaining about LiveJournal itself.